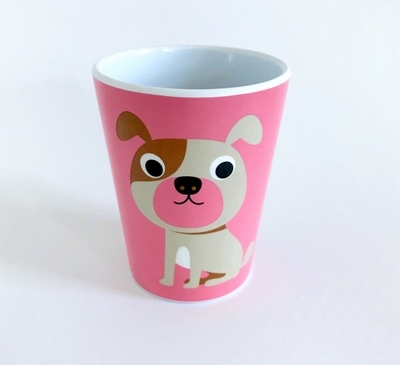 Blå Gungan - webshop design & crafts - Mug Ingela P Arrhenius "Dog on pink"
Home » Kitchen » Plates & cups » Mug Ingela P Arrhenius "Dog on pink"
Mug without handle in melamine (non-toxic). Suitable for both adults and children! Perfect for children's party or the breakfast juice. Or why not have as a pencil holder at your desk?